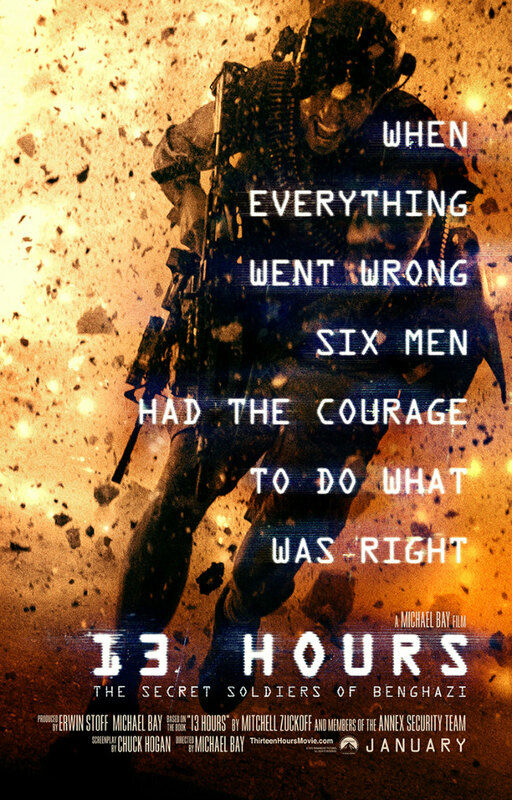 13 Hours: The Secret Soldiers of Benghazi is a 2016 American biographical war film based on Mitchell Zuckoff’s 2014 book 13 Hours. The film follows six members of a security team who fight to defend the American diplomatic compound in Benghazi, Libya after waves of terrorist attacks on September 11, 2012. The font used for the film title in the poster is OCR-A. American Type Founders produced OCR-A in 1968. The mono-spaced typeface is easily read by a machine but it is slightly more difficult for the human eye to read. In addition to 13 Hours (film), OCR-A typeface is also used in the following logos, movie posters or album covers etc., including: The Den, The Pretender, Disturbia, Fuse.